Nowadays, when someone mentions drones, also known as an unmanned aerial vehicle (UAV), usually it’s in the context of some cool video that makes its way around the Internet. Remember our look at the inside of the new SR 99 tunnel now under construction in Seattle? As a transportation agency, we see other uses for drones that can help us complete work faster, and safer. This was the thought behind a recent test we conducted that used a UAV to survey a section of highway along the coast in Pacific County. 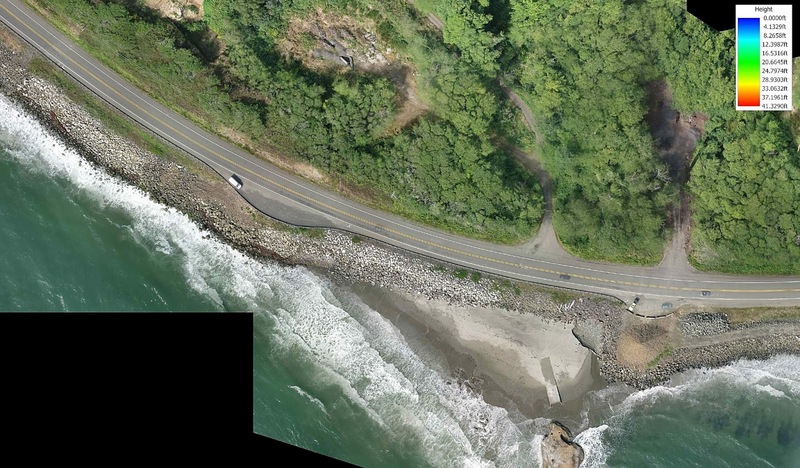 A drone’s-eye view of Washaway Beach, where the ocean is threatening a stretch of SR 105. There’s a stretch of State Route 105 south of North Cove that is infamously known as “Washaway Beach.” Over the years, extreme coastal erosion has claimed the buildings, roads and infrastructure of a community that once settled at Cape Shoalwater. Each year, the ocean continues to encroach closer towards the highway and threatens to undermine the road. The time has come for us to armor the road and keep SR 105 protected, but before we can begin design work for our project, we need to update survey data to map the physical area. we then compared to measurements taken from the ground to compare accuracy. 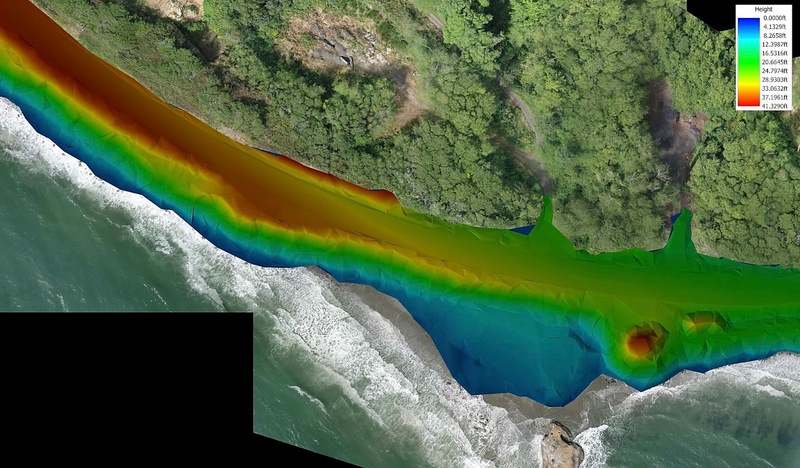 We’ve been fascinated by UAV use, and with the advancements in technology, we decided give the drone a trial run to see how it compared with our last survey utilizing traditional methods. We hired a consultant to fly a fixed-wing UAV over a preprogrammed route to capture hundreds of photographs, which were stitched together and assigned geographically referenced data points to create a 3D map, known as an orthomosaic aerial photo survey. We found this data to be highly accurate, so much so that we can import it into our computer system to begin design work. The hour-long flight provided as much survey data as a ground crew could produce in a week. working on a plan to protect the road against the erosion. That’s a great question. We are evaluating the long-term benefits of hiring out a consultant for future projects or purchasing the equipment and licensing our existing staff. Either way, it looks like there’s more drones in our future. UPDATE Oct. 28: This work has been postponed due to expected wet weather and will be rescheduled for a future date. The dreary days of fall are upon western Washington and for us that means more maintenance work, hillside inspections and dangerous tree removal projects as we gear up for rain, wind, snow and ice. One of the first in line is a landslide repair project on the hillside along westbound State Route 18 just east of Auburn that could cause major delays for drivers this weekend. to one lane as we stabilize this hillside. The right lane and shoulder of westbound SR 18 on the east side of the Green River will close at 7 p.m. Friday, Oct. 28 and reopen at 5 a.m. Tuesday, Nov. 1. That means there will be just one lane open throughout the weekend and on Monday. This stretch of SR 18 carries about 2,500 vehicles an hour during peak commute times and so as with any time we close lanes, expect delays. The afternoon commute on Monday could take an additional hour with up to five miles of backup expected. We also expect 30-minute delays on Sunday afternoon. If you're headed out trick-or-treating or need to get home to get your kids in costume, please take these expected delays into account. Looking down the slide area toward westbound SR 18 below. The hillside slid almost a year ago during heavy November rains. Our geotechnical inspectors evaluated the slide area and determined we needed to stabilize the hillside before this winter in order to avoid further slides that could endanger drivers and damage or close the highway. 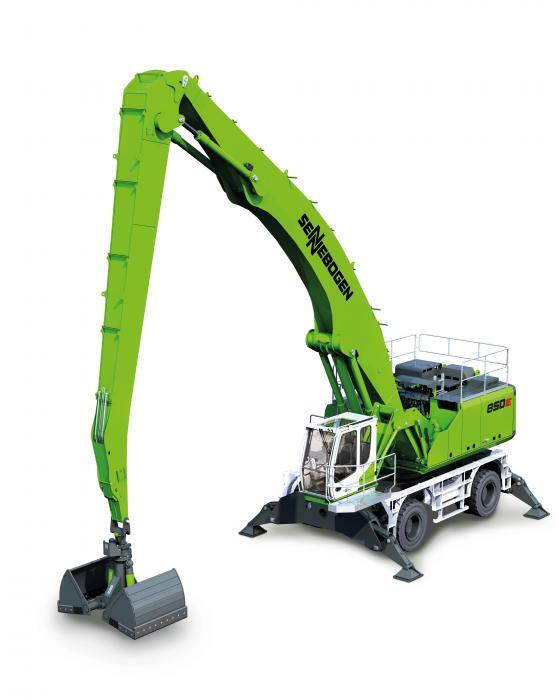 Contractor crews will bring in an excavator with a 72-foot-long arm and put it in the closed lane. From there, crews will remove the debris that moved during the slide, build terraces and place rocks to stabilize and reinforce the existing slope. side of westbound SR 18 near Auburn. This project is extremely weather dependent. A forecast of rain could delay the work, so stay plugged in to the project website for the latest information. Yes, we know this is a rainy time of year, but designing and scheduling projects is challenging and this is when we were able to get it ready to go. Our geotechnical engineers have been watching the hillside, and have determined we should not wait through another winter to do this work. If the weather cooperates, the work will be done early Tuesday morning. The hillside will be more stable before the real deluge of soggy weather this winter. If a catastrophic earthquake hit today – or any day – would you be prepared? We take regular steps as an agency to prepare for and respond to disasters – including participating in Thursday's Great Washington ShakeOut drill – but we also need the public's help. in the Great Washington ShakeOut on Thursday, Oct. 20. It's not fun to think or talk about disasters, but preparation is crucial. On Thursday, my co-workers across the agency will take cover at 10:20 a.m. – it's important to practice so it becomes second nature – and then we'll also practice how we account for every single employee after a disaster. This is key not only for the safety of our workplace, but also to be able to quickly respond and mobilize repair crews. 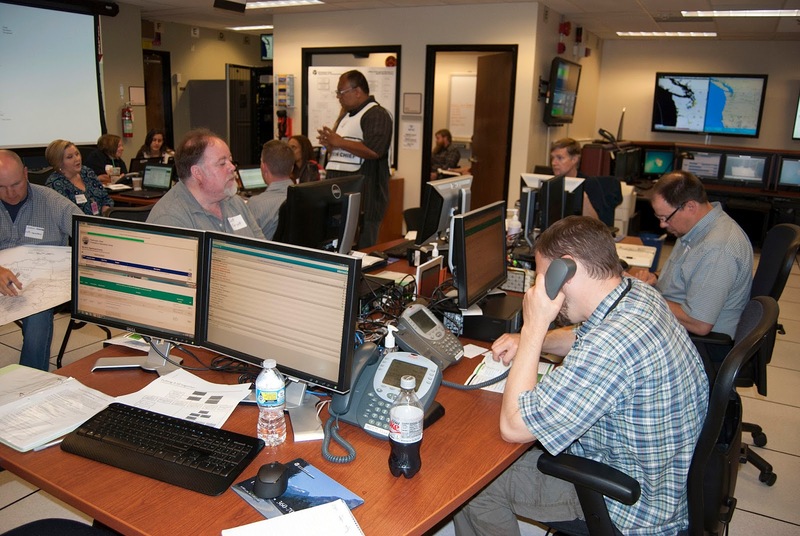 In June, more than 200 of our employees joined 20,000 people region-wide in the Cascadia Rising Drill to practice responding to a 9.0 earthquake – which would be truly massive in its destruction. We're now using lessons learned during that drill to better prepare for the real thing. We want you and your families to also be prepared. WSDOT staff practice reacting to a major earthquake during the Cascadia Rising drill earlier this year. We'll need everyone's help to respond to a devastating earthquake – from knowing "Drop, Cover and Hold On" to keep yourself safe, to having emergency kits once the ground stops shaking. Perhaps you stocked up on supplies for the massive storm predicted for this past weekend. While you may not have needed them then, those supplies are a good first – or additional – step toward creating an earthquake/disaster kit. (I now have a restocked water supply at the ready, for example). We've long been told to have three days of food and water available for emergencies. For something like a massive earthquake, though, a better rule of thumb is seven to 10 days of supplies. With roads and bridges impassible after a giant quake, you and your neighbors may need to initially help each other while crews respond to life and death emergencies. In case of an earthquake, drop, cover your neck and hold on to something solid to stay safe if you can. In the Cascadia Rising drill this summer, for example, dozens and dozens of roads and bridges were damaged. General traffic just wasn't possible and crews had to work hard even to get emergency routes reopened. A 9.0 earthquake would be truly catastrophic, but even a smaller one can cause significant damage and we want everyone prepared. Seem overwhelming? Set a goal of stocking one new emergency kit item during your weekly or monthly grocery store run. The sooner you start, the more prepared you are for both small and large emergencies. Thousands of travelers in east Vancouver are shaving time off their daily commute now that the Interstate 205 Northeast 18th Street Interchange is open. While the changes are taking some getting used to, early indications are that drivers are not only adjusting well, they're already seeing benefits. A drone's-eye view of the new I-205 interchange. Roundabouts. They're designed to make intersections safer and more efficient and so far we're seeing that in east Vancouver. For the first time ever, travelers can access I-205 from Northeast 18th Street. The 15 mph speed limit might seem like it slows you down but it actually allows folks to safely navigate the roundabout while keeping all traffic moving through the area. Unlike intersections with traffic signals, drivers don't have to wait for a light to change to get through, keeping traffic flowing. The new interchange is drawing many commuters who otherwise would've used Southeast Mill Plain Boulevard or State Route 500 to access I-205. Having a new interstate on-ramp gives drivers more options, breaking up that three-mile stretch, distributing traffic around the system. That means fewer delays for the thousands of drivers who use the highway and surface streets every day. The new on-ramp from Northeast 18th Street is separated from the newly extended southbound off-ramp to Southeast Mill Plain Boulevard. We call this separation of ramps “braided ramps.” We use them in areas with lots of traffic and not a lot of room. By separating the ramps, we increase the amount of roadway surface and give drivers more room to merge without weaving into each other. The end result: a drop in both crashes and delays along the corridor. Time-lapse of crews building the I-205 NE 18th Street on-ramp. The 112th Avenue Connector project, the companion project to the 18th Street Interchange completed in 2010, has proven to help keep traffic moving in east Vancouver. Drivers on northbound I-205 have direct access to Northeast 112th Avenue, which means bypassing the often congested intersection at Mill Plain Boulevard and Chkalov Drive. A traffic study shows drivers using the new ramp cut nearly two minutes off their afternoon commute through the area. While two minutes doesn't sound like much, it adds up! Take a look at the numbers. 8 hours of drive time saved in one year! We all know it takes time to change habits, so it's too soon to tell the full impact of the new 18th Street on- and off-ramps. We're doing a traffic study now and we'll be sure to update you when we get the results. That rumble you felt on the road might be a flat tire, or a bump in the road - or it just might be an earthquake. The classic advice of drop, cover and hold on won't work if you're out on the open road. To prepare for this situation, residents from all over Washington state will participate in the Great Washington ShakeOut on Oct. 20. Wherever you are at 10:20 a.m. that day practice earthquake safety like dropping under a desk or table, protecting your neck and holding on to something sturdy such as the leg of the desk or table you are under ("Drop, Cover & Hold on"). Earlier this year, WSDOT staff went through extensive earthquake-simulation drills to prepare for a large-scale event. But what if you're driving? their vehicle and head to higher ground. Maximilian Dixon, the earthquake program manager at the Washington Emergency Management Division, says your best bet is to stay calm and pull over. The tell-tale signs of an earthquake could be others you see on a street reacting to the earthquake. Maybe trees are moving and cracks are opening on the road or sidewalks. Drive slowly to the side of the road, stop the car and set the parking brake. 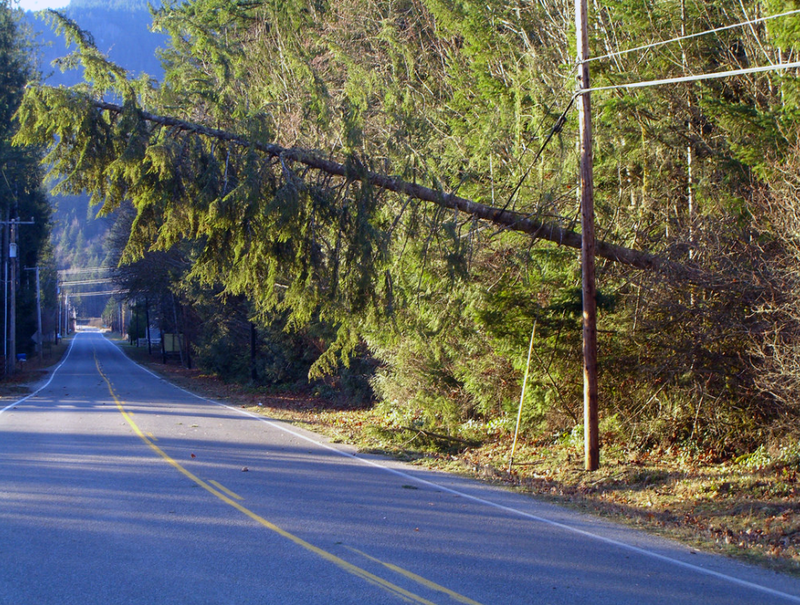 If a power line falls on your car, call 911 and wait for expert help or follow power utility advice on what to do next. or natural disaster situations (PDF). Make sure to avoid overpasses, bridges, power lines, signs and other hazards and say inside your car. If you are on the coast and can get out of your car safely, do so and start heading for high ground if you are in a tsunami hazard zone. 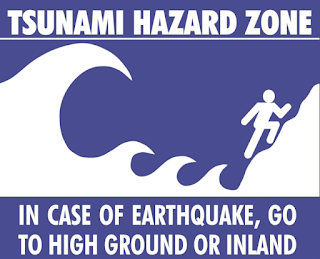 Look for tsunami evacuation signs to guide you. Don't wait for the sound of a siren or an official warning because the earthquake itself might be the only warning you get. 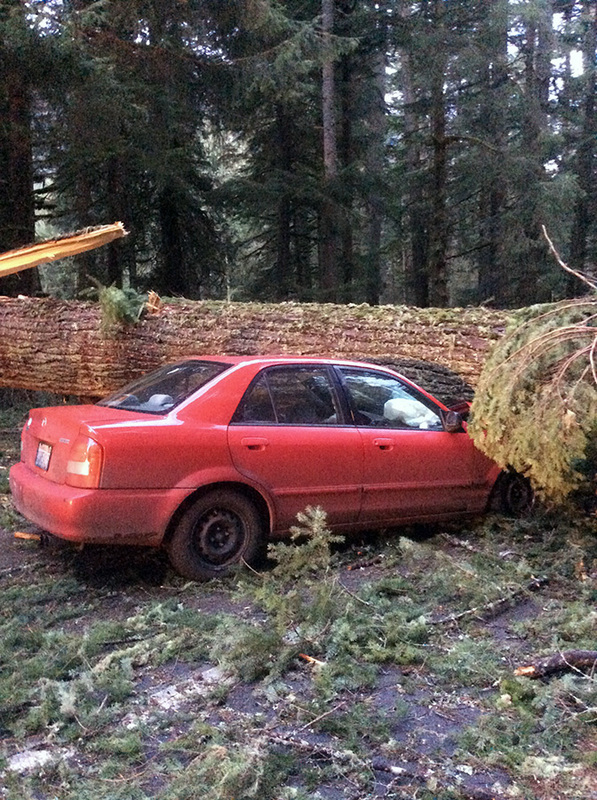 You might need to leave your car behind if there is debris on the road and no way to safely drive to high ground. In this case, find a safe place to park your car and start walking. You should keep a "go" kit in your vehicle for these kinds of incidents (or if you become isolated because of winter weather). Make sure your kit has food and water, a first aid kit, a flashlight, comfortable clothes and shoes, and more. Have more earthquake questions? On Oct. 20, from noon to 2 p.m., earthquake preparedness experts from the Washington Emergency Management Division and FEMA will join scientists with the Washington Department of Natural Resources and the Pacific Northwest Seismic Network online for a Reddit Ask Me Anything - an online Q&A. 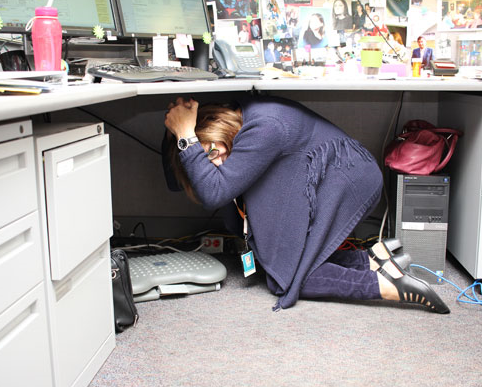 We encourage participants in the ShakeOut drill to take photos of themselves during the drill and to post those photos to social media using the hashtag #washakeout, or tag our Twitter account at @waShakeOut. Steven Friederich is the Digital Media Coordinator for the Washington Military Department. The road to Artist Point is closed for the winter. With an inch of snow at the ski area and four inches at the top of Artist Point, our maintenance crews swept the area of hikers and then closed the gate for the season on Friday, Oct. 14. Some people refer to the last 2.7 miles of State Route 542 as a dead end. For many it’s not an end but a beginning to access more than 117,000 acres of Mt. Baker Wilderness. That starting point is fleeting. Each year, we have just a few months to use that access road before the snowflakes start flying again, the orange gates on SR 542 to Artist Point are closed, the road signs are removed (for skier safety) and WSDOT season crews turn their focus to making sure winter enthusiasts can safely get to and from Mt. Baker Ski Area. It’s less than 3-miles, while not keep it open? Clearing that last stretch of highway all winter would cost tens of thousands of dollars and wouldn’t benefit many due to the amount of snow that would be everywhere except the parking lot. Year-round access is also limited because part of Mt. Baker Ski Area, which has been in operation since the 1920’s, runs across part of the highway. If you’ve ever skied or ridden down Blueberry Cat-Track, you might recognize some familiar road-like turns. That’s why crews remove the few road signs that run along this stretch – they want to make sure things are safe for skiers no matter what the snow depth. Well then, why clear it at all? Clearing it at the end of the snow season allows extended use for thousands of people who come up each year to hike, backpack or just take in the view of Mount Baker and Mount Shuksan from the visitor center. 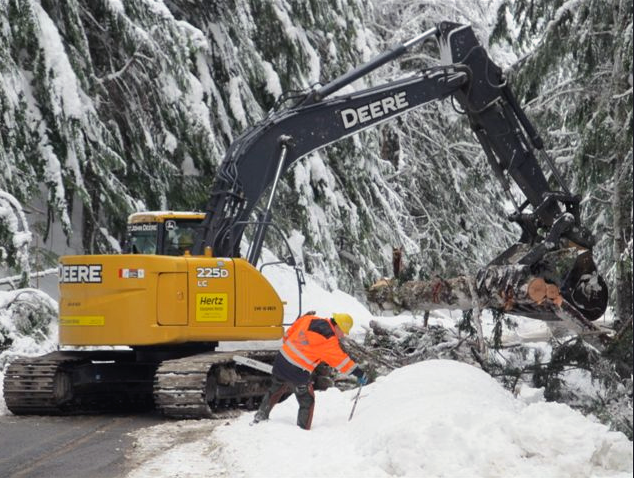 So for now – think snow – to benefit all the skiers, boarders and businesses who use SR 542 during the winter. We’ll be busy clearing the stretch of road up to the ski area throughout the next few months, but next year we’ll be excited to reopen this dead end stretch to help begin your summer adventures. EB SR 520 - CLEARED 2:43 p.m. Oct. 14 - A tree is blocking the three right lanes of EB SR 520 just before 84th Street. I-5 Seattle - CLEARED 8:30 a.m. Oct. 14 - The two right lanes of northbound I-5 just north of Mercer Street are blocked due to water over the roadway. I-5 Seattle - CLEARED 6:58 a.m. Oct. 14: The I-5 express lanes are closed due to a semi rollover collision. Drivers should use SR 99 or expect delays. SR 203 - CLEARED 5:00 p.m. Oct. 13: SR 203 northbound just north of NE 88th Street, a fallen tree is blocking the lane. SR 104 Hood Canal Bridge - CLEARED 5:55 p.m. Oct. 14 - Both directions of SR 104 closed until further notice due to high winds. 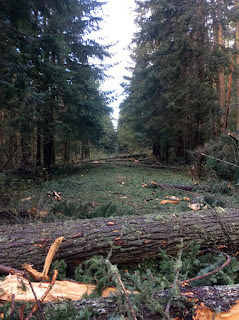 SR 160 (SE Sedgwick Road) – CLEARED 6:04 a.m. Oct. 15 – Both directions are closed due to downed trees at milepost 6 near Cottonwood Drive SE.A detour is in place. US 101 – CLEARED- 6:17 p.m. Oct. 14 - Both directions are closed at milepost 321.4 near Jorsted Creek due to downed trees. 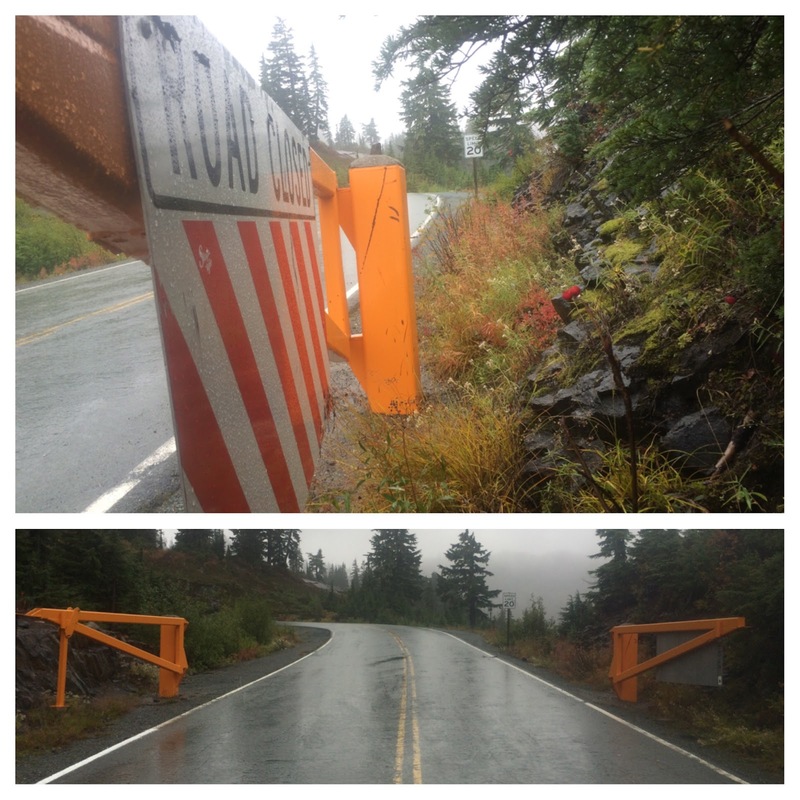 SR 20 – CLEARED 5:55 p.m. Oct. 14 – Both directions are blocked at milepost 91 just east of Concrete due to downed trees. 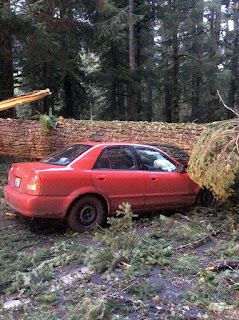 SR 530 – CLEARED 6:30 Oct. 14 – Both directions are blocked at milepost 65 just south of Rockport due to downed trees. 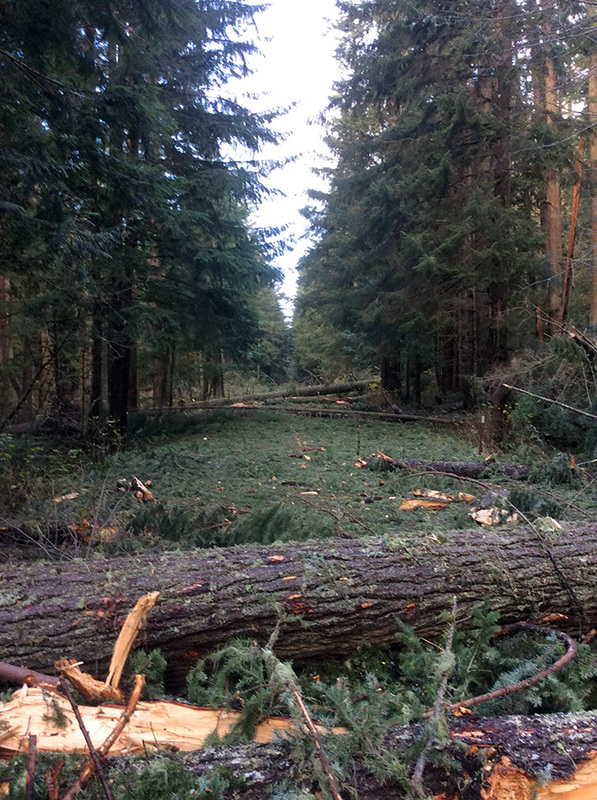 SR 507 Bucoda - CLEARED AT 4:15 p.m Oct. 14 – Both directions are closed at milepost 8 near Flumerfelt Road SE due to trees down in power lines. 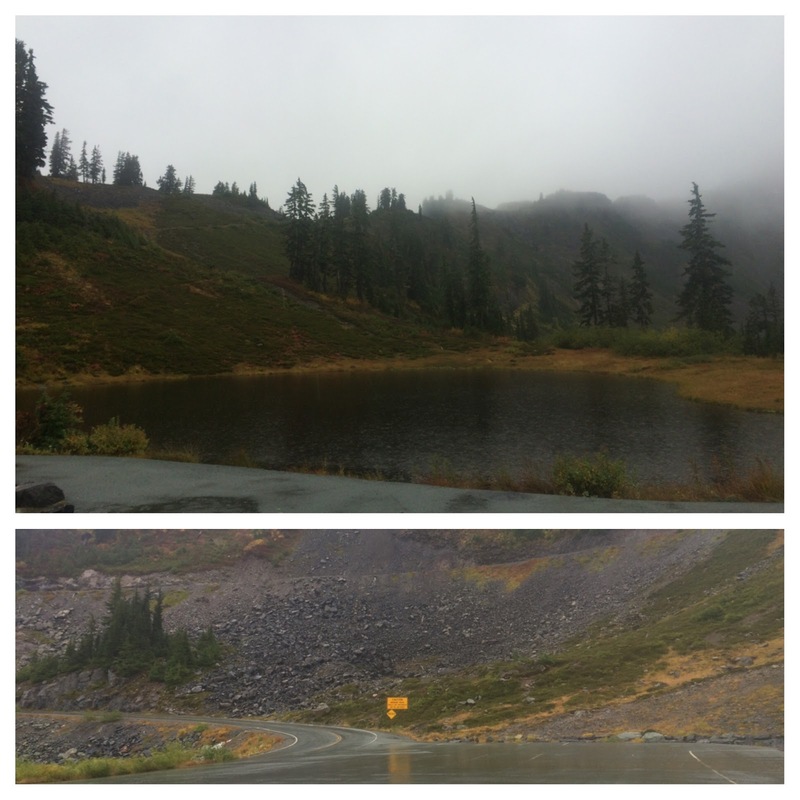 SR 542 Glacier – 11:35 a.m. Oct. 14 – Snow has started to fall and the final 2.7 miles of SR 542 to Artist Point is closed for the season. SR 548 Ferndale – CLEARED 12:15 p.m. Oct. 14 – A fallen tree is blocking both directions of SR 548/Grandview Rd. east of North Star Road. A detour is in place. I-5 Bellingham – CLEARED 3:18 p.m. Oct. 15 – The Bow Hill Rest Area is closed in both directions due to a power outage. I-5 Ferndale - 9:30 a.m. Oct. 15 - The Custer Rest Area is closed in both directions due to a power outage. Updates can be found on the WSF Travel Alerts page. The next few days are forecast to be wet and windy as fall storms haul in drenching rain and gusty wind, which could produce power outages and debris on roads and highways. Many trees are still sporting their fall colors, increasing the chance that they could come down in windy weather. Think of the leaves as a sail, catching the wind and toppling trees. The high potential for flooding and downed trees through the weekend could make traveling a challenge as roads become hazardous or blocked. 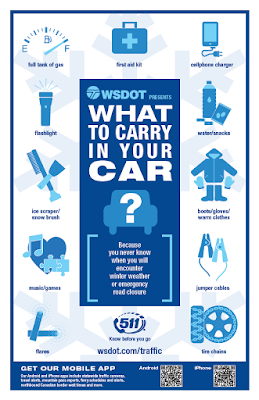 Please plan ahead and be prepared with our winter weather emergency car kit. If you must travel, be sure you and your vehicle are prepared and stay updated on conditions by turning to media broadcasts and checking our travel alerts page. As the weather changes we will update this blog with the latest road closure information by county and highway, so check in frequently throughout the weekend. On Wednesday, October 12, we unveiled a new partnership with the Seattle Seahawks to celebrate our Pacific Northwest fans. 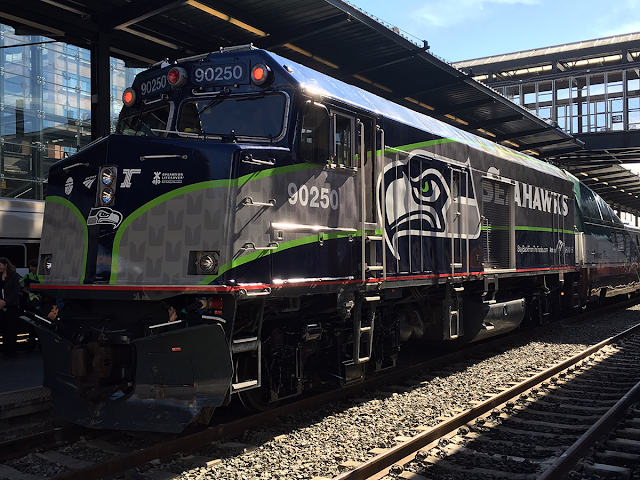 In true 12's spirit, we started with a roar...from our new Seahawks train! 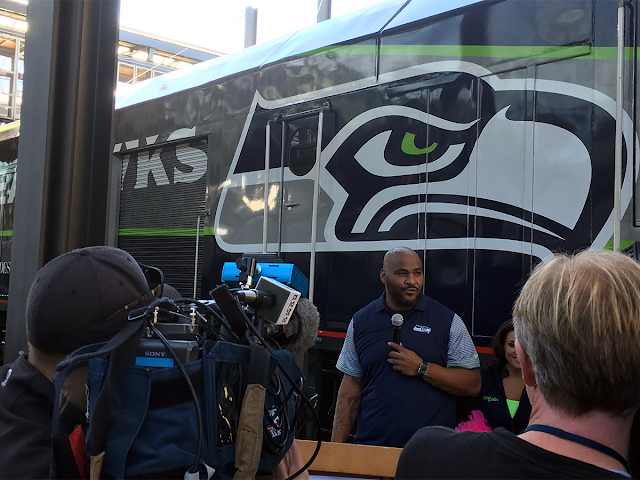 With the Seahawks logo blazing, a "We are 12" banner on top, and CenturyLink Field in the background, the Seahawks train rolled into King Street Station for the first time to a cheering crowd that included Blitz, the Sea Gals, and Seahawks' Hall of Famer Walter Jones. Columbia and Eugene, Oregon, making all 18 stops along our corridor. The Seahawks train will be in service for several months, stopping at all of the 18 stations between Eugene, Oregon and Vancouver, British Columbia. However, like a Russell Wilson Hail Mary, those looking to ride the Seahawks train will need to leave it to luck, since it will rotate throughout the corridor and there is no guarantee it will be on any given route at any given time. This Seahawks partnership launches a banner year for Amtrak Cascades service. During the next year, we'll complete almost $800 million in infrastructure investments in the Amtrak Cascades corridor to reduce travel times and increase reliability. Improvements include the installation of new tracks and signals, fixes for major choke points, and work to shore up coastal bluffs to keep landslides from reaching the tracks. In the next year, you'll also see eight new, state-of-the-art locomotives in action, a brand new train station in Tacoma, and two additional daily round trips between Seattle and Portland, for a total of six per day. With the completion of these projects next fall, service will improve throughout the entire corridor. partnership between Amtrak Cascades and the Seahawks Wednesday. With so many improvements coming to Amtrak Cascades, now's a great time to ride and see for yourself. As an incentive, we're offering a special discount during October. If you book a trip on Amtrak Cascades by Oct. 31 for travel any time in the next six months, you can save 25 percent by using promo code V747 when you book on AmtrakCascades.com. If you're traveling anywhere between Eugene and Vancouver, British Columbia, like maybe for the holidays or Spring Break, it's a great option! Our Seahawks partnership continues in 2017 when Seahawks wide receiver Doug Baldwin teams up with us for a major rail safety campaign. The goal is to reduce the number of train-related fatalities and injuries, create overall awareness of the importance of train safety, and make people more cautious and alert around trains, tracks and crossings. Watch for Doug's message in local media and check out opportunities to win autographed footballs as part of the Stay Back From The Tracks campaign. What’s happening on I-5 Fisher Creek? I spent a lot of my August evenings watching the Olympics. It's amazing to watch those who are so skilled at their craft. I often have that same sense of awe when I go to construction project sites. I definitely did this week when I visited a concrete pour in Skagit County. These guys made a messy, tough process look as smooth and easy as many Olympic athletes. 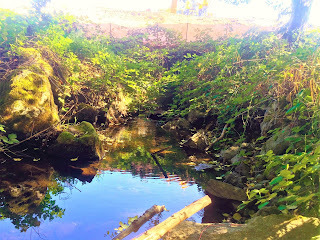 The current Fisher Creek culvert under I-5 is just 8 feet wide. Our contractor crews working on the I-5 Fisher Creek Fish Passage poured the deck of one of the new 110-foot bridges that will eventually take drivers over Fisher Creek. Currently, a rusting metal 8-foot culvert funnels the creek underneath I-5. Replacing the narrow culvert with these wider two bridges will open up more than 17 miles of salmon and steelhead habitat and comply with a U.S. District Court ruling. But let's get back to what's happening now. Crews have been working on this project since May 2016, starting with the southbound bridge which is nearly ready for traffic. 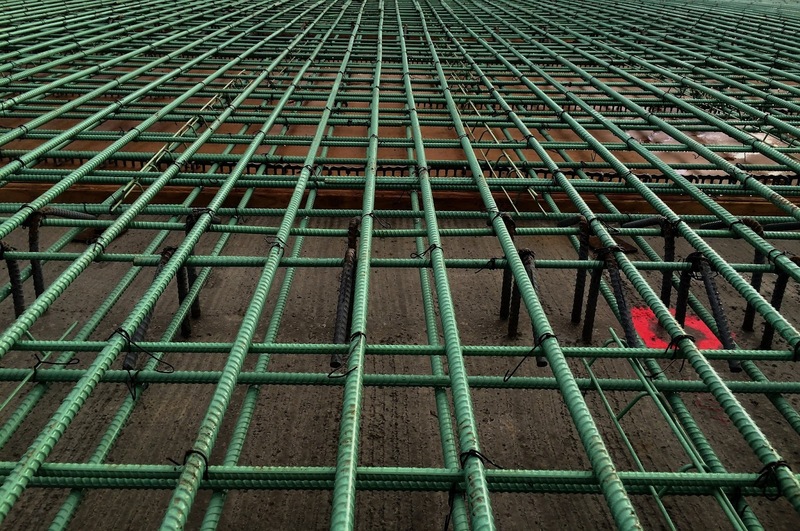 Recently, crews built a rebar structure as part of the deck before pouring more than 180 cubic yards of concrete into that structure. It's a big job to get this concrete poured, smoothed, and protected before it starts to dry. It started with the concrete trucks. Every 12 minutes a new truck arrived to keep the material flowing. This operation used a huge pump boom (it's operated by remote control!) to move the concrete up into the air and out through a flexible tube that allowed crews to direct the concrete into the holes in the rebar. 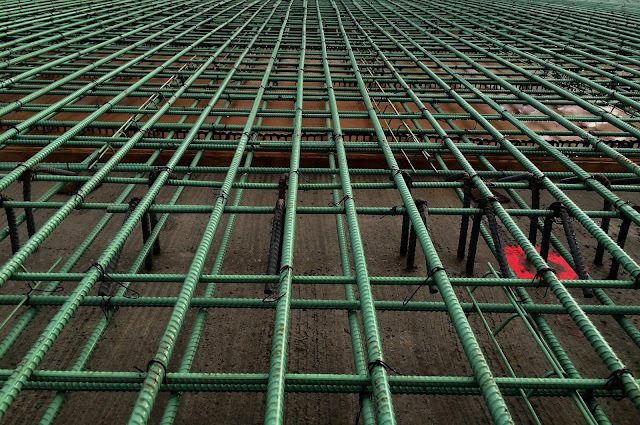 Rebar is first constructed before we pour concrete into the structure. A second person used a vibrating device to help flow the concrete into the many voids within the reinforcement. Other workers ensured there was a consistent amount of concrete before the Bidwell bridge paver moved in. The truss on this equipment is set up to work with the engineered grade of the road, in this case a slight crown in the middle to make sure water will flow off the bridge deck. That truss moved along the poured concrete with a traveling carriage that used an auger to initially break down the concrete mix and ensure the proper amount is in place before the stretch is rolled, smoothed and textured. The entire operation was pretty impressive to watch, just like those Olympic performances. 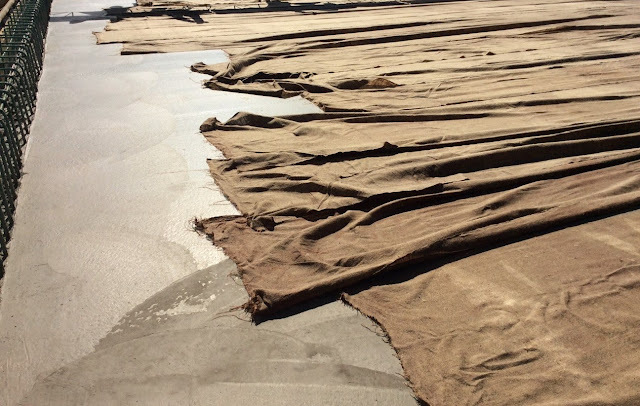 Crews moved quickly to get the concrete in and smooth before quickly covering it with wet burlap and white plastic. This process is called wet curing, and it keeps the concrete from drying too quickly. While it takes longer to dry, the wet curing helps prevent cracking and extends the life of the bridge deck. We cover wet concrete with burlap and plastic to keep it from drying too quickly and prevent cracking. As crews wait for the deck to dry, they'll do prep work for the next steps – the approach to and off of the bridge deck and the barrier along the bridge deck. Both of these will require more rebar and more concrete. Crews will work to reopen the southbound lanes of I-5 to three lanes of traffic and move speeds there back up to 70 mph once all the pieces of the bridge are complete. Completion of the southbound work doesn't mean this project is over, it means northbound work is coming. The current bypass lane for southbound drivers will be tweaked and modified. We are expecting that northbound I-5 in this stretch will start using the bypass lanes by the end of October. The interstate will become two lanes for drivers heading toward Mount Vernon and the speed will be reduced to 60 mph in this work zone. Both drivers and workers are pretty lucky with this project as we've been able to create a safe work zone for workers that includes a concrete barrier while drivers are experiencing a minimal slow-down without any complete lane closures. Once crews detour northbound traffic, they'll work through the fall and winter on the northbound bridge. I'd expect work to be a little slower than southbound because they'll have varying weather conditions to deal with. When crews finish the northbound bridge, they'll open three lanes of traffic back up and increase speeds while they complete work under the bridges to remove the existing culvert and expand the stream channel. The entire project should wrap up a year from now when an improved Fisher Creek will be ready for fish to show off their Olympic style skills during the next spawning season. Medina, with much of the old floating bridge gone. 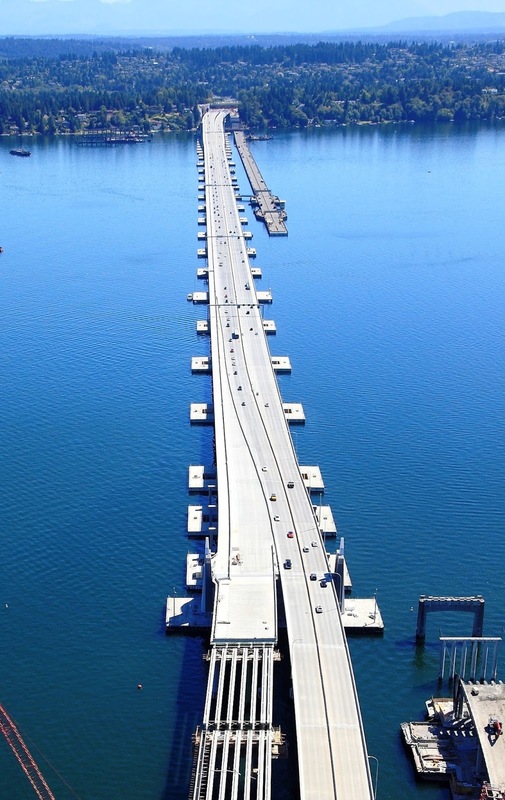 Building the world's longest floating bridge between Seattle and King County's Eastside cities was a big job. Our work on Lake Washington, however, didn't end when State Route 520's new, six-lane crossing opened to traffic in April. No, our contractor crews immediately shifted their focus to another weighty task: removing the highway's old floating bridge from the lake. A sense of urgency propels this work. The old bridge – completed more than a half century ago under design standards less stringent than today's – is structurally vulnerable. 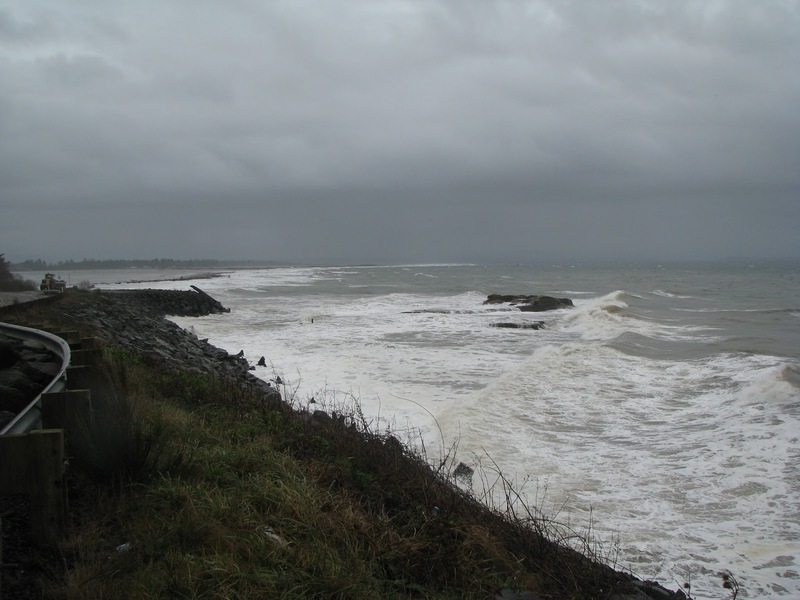 Severe side winds and strong waves could twist and heave the old pontoons to the point where they crack, break free and sink. Or perhaps worse, the old pontoons could wash into the new bridge – just a stone's throw away – or strike its anchor cables and cause serious damage. So our crews are working against the clock to dismantle and remove the old bridge before the region's storm season arrives later this year. Since July, we've separated and towed 11 of the old bridge's 31 pontoons off Lake Washington, and moved 14 others to the north side of the new bridge while we prepare to tow them off the lake. There are now just six pontoons still in their original location and awaiting removal. 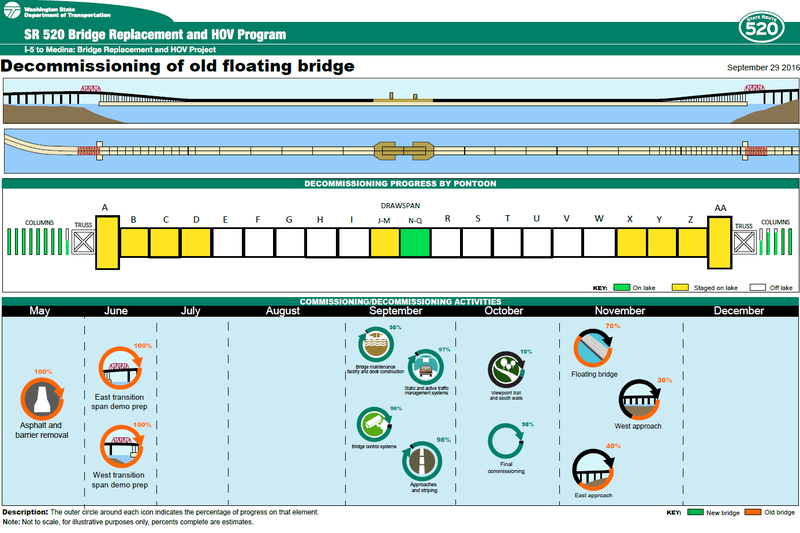 In total, 69 percent of the floating bridge has already been decommissioned, including removal of the east and west truss structures in June. Most of the old bridge is being reused or recycled. All 31 of its concrete pontoons will be towed off Lake Washington by winter, transferred to a third party, and hauled elsewhere for use as docks, piers or other marine structures. The old pontoons represent about three-quarters of the bridge's total bulk. So by repurposing all the pontoons, we're taking approximately 70 percent of the old bridge off the lake without breaking apart the associated concrete. What’s left of the old floating bridge sits to the left of the new SR 520 floating bridge looking west toward Seattle. The bridge's other structures – mainly concrete girders, roadway barrier and columns from the east and west high-rises – are being dismantled on the lake, barged to an industrial site in Kenmore, off-loaded to trucks, and hauled away for reuse on other construction projects or to landfill sites as appropriate. 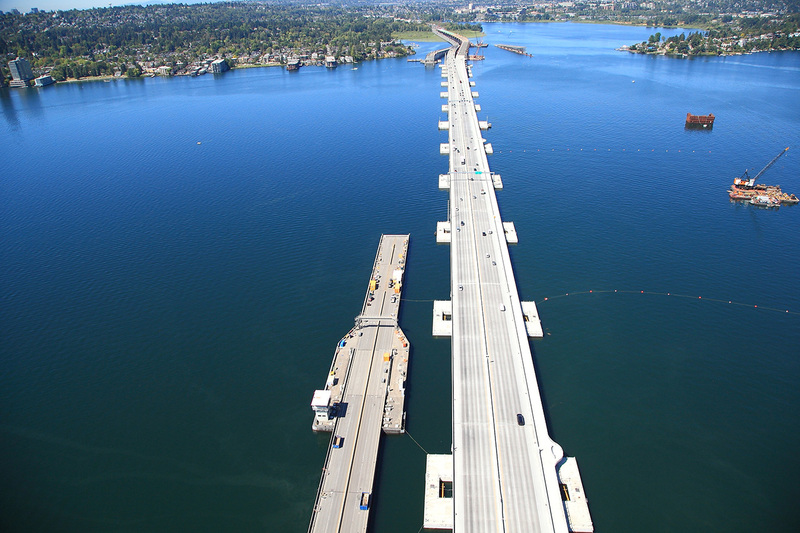 Prior to starting construction of the new floating bridge in 2012, we worked with regulators to conduct the required environmental studies and obtain the necessary regulatory permits we needed both to build the new bridge and to take apart and remove the old one. Some of those permits have since been updated to reflect new conditions and, where needed, additional controls. We are committed to environmental stewardship on all our projects. We have rigorous protocols that our contractors must follow to protect the environment and, if accidents do happen, to limit their effects. Spraying water to control dust while we break up concrete columns, barrier and girders – the bridge "superstructure" – atop high-rise pontoons. Draping large screens around the elevated demolition segments to contain the material. Placing barges under the old road deck while separating over-water girders for removal. Bracketing pontoons with barges to catch debris while breaking up the concrete columns and road deck. Placing curbs and fencing around the perimeter of demolition barges to keep material out of the lake. 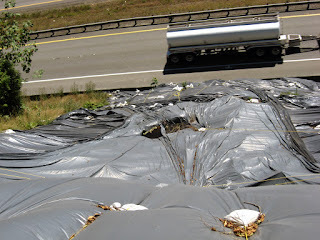 Using water-tight structures to contain water used for dust-control and keep it out of the lake. removing the old bridge from Lake Washington. All 31 pontoons from the old bridge will be reused elsewhere. Environmental tests conducted prior to bridge-deconstruction work showed that some of the old concrete contains various heavy metals, such as arsenic, barium, lead and mercury. A January 2016 test was performed on the concrete by an independent laboratory in Seattle. The lab used a U.S. EPA-approved test method to determine whether the concrete met the landfill criteria of Public Health Seattle & King County. The concrete met the criteria and fell well below the approved limit for disposal. The 2015 test, which determined the molecular composition of the concrete, identified an above-normal level of arsenic. This test was performed to determine if the concrete was suitable for recycling. The 2016 test was designed to assess if the level of arsenic and other elements from the old bridge’s hardened concrete could leach into the environment if the concrete were placed in a landfill. 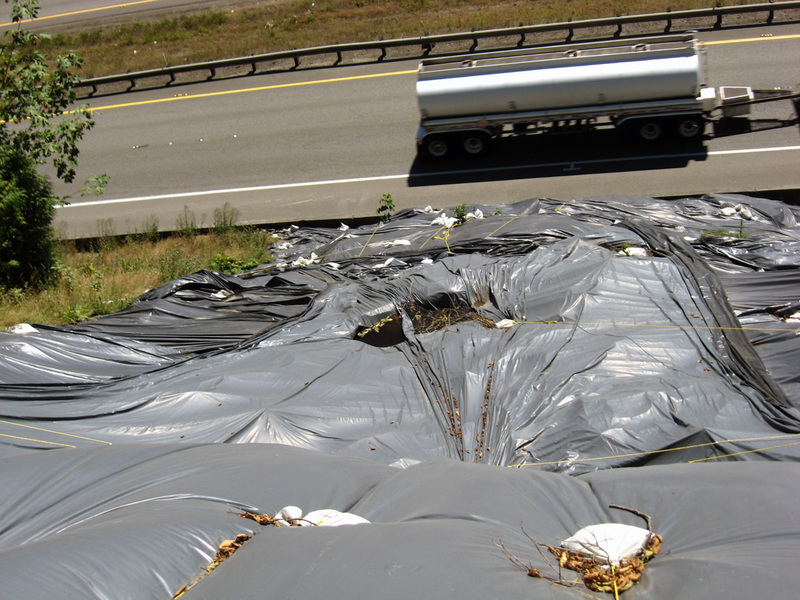 This second test, called a Toxic Characteristic Leaching Procedure (TCLP), is the EPA-approved analysis used by Public Health Seattle & King County for determining whether to allow disposal at Reserve Silica, a special landfill for inert materials. 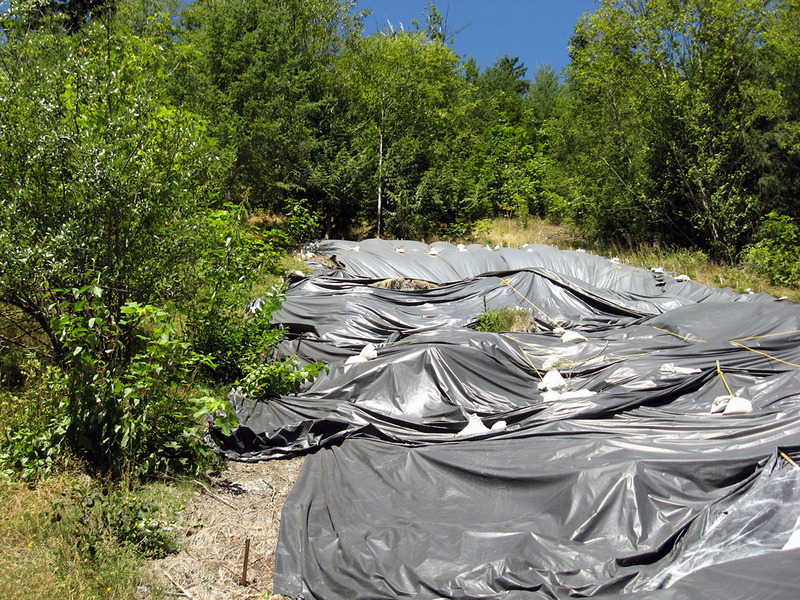 The TCLP result for arsenic was 0.2 parts per million – well below the EPA’s regulatory standard of 5 ppm for disposal. As a result, some of the old bridge’s concrete is being disposed at the Reserve Silica landfill as approved. A look at the timeline for decommissioning the old SR 520 floating bridge. 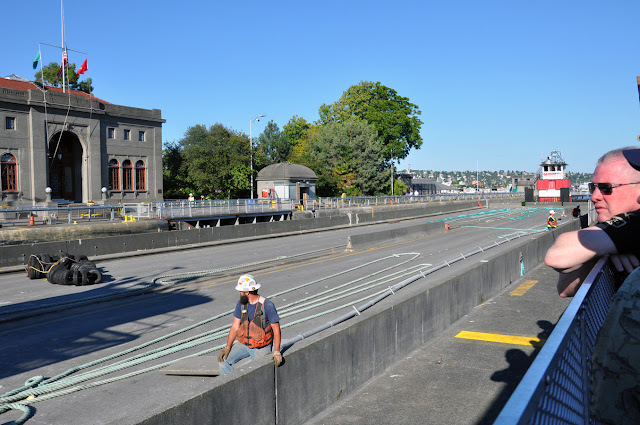 The permits we obtained from federal, state and local agencies to deconstruct the old floating bridge establish rigorous standards our contractor must follow. For example, the permits prohibit unauthorized discharges of any kind into Lake Washington. While mishaps can and occasionally do happen on a large construction project, we’ll continue working hard to protect our natural resources while creating a safer, more reliable transportation system for our state. A folio describing the key procedures and timeline for removing the old bridge. A list of environmental studies, regulatory permits, and agency correspondence related to the bridge-removal effort. A presentation showing key activities involved in bridge deconstruction. A report describing the environmental protocols and best management practices the contractor follows during bridge-removal work. A graphic showing the latest status of bridge deconstruction on Lake Washington.